Do I have to take my car to where my insurance company wants me to? It’s YOUR car and YOUR choice. The decision is up to you where you choose to obtain an estimate and repair your vehicle. No, there is not a law that requires you to get multiple estimates. 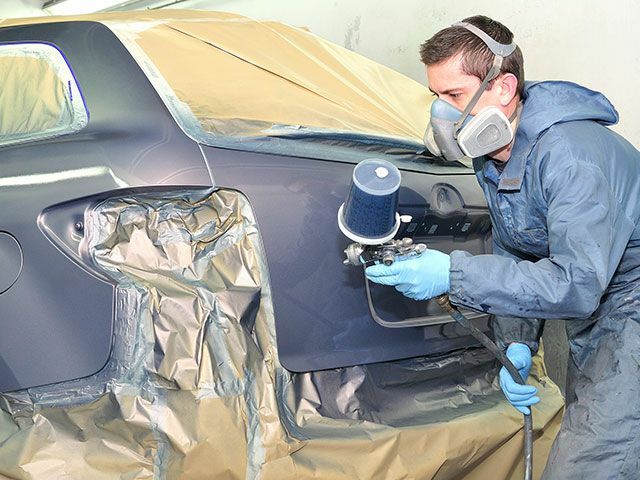 In most insurance cases the body shop works directly off of the insurance estimate. What if the estimate is more than the one from my insurance company? Insurance companies know there might be additional repairs needed to your vehicle once it has been inspected closely. We will handle all supplements directly with your insurance company. Will my parts be preordered? No, the process of fixing a vehicle starts from the inside, there will most likely be hidden damages. The parts are all ordered once the vehicle is properly disassembled. This helps in eliminating multiple starts and stops on a repair, resulting in a faster turnaround time. The amount of the deductible is determined by your insurance policy. If you were not at fault, your insurance company may waive your deductible. If you are unsure, call your insurance agent. When is the deductible due? The deductible is due once the repairs to your vehicle are complete. Payments can be made directly to Mick’s Body Shop by cash, check, Visa or MasterCard. Can I drop off my vehicle before or after hours? Yes, we have a key drop box available for customers needing to drop off their vehicles before or after regular business hours. Yes! There is a warranty of all our repairs of workmanship for as long as you own your vehicle. The warranty on all parts are based on the manufacturer.